Wow. This looks really good!! All your recipes do, actually. But, I've been off of eggs for about a week due to my 7mo daughter's terrible skin issues, and… it seems to be helping. Argh. I'm sure you know how dependent we are on eggs, when we're gluten-free and dairy-free, too!! Anyways. 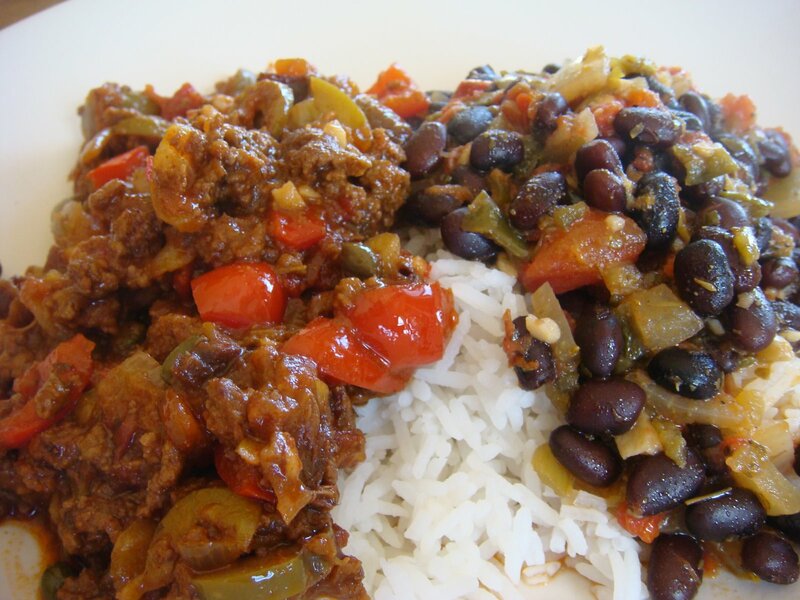 I make something similar with pork and black beans… I will definitely have to try this, though! The capers, prunes, and green olives are not things I would have thought of, but I bet it tastes fabulous. Oh man! Eggs too?! I have been counting my lucky stars that we are okay with eggs. How on earth can you bake without eggs. Ya, I know, egg replacer, but is it any good? Hope that is temporary for you guys. Let me know if you try this recipe. It is absolutely one of our favorites. Now I am going to need the recipe for your pork and black bean thing.